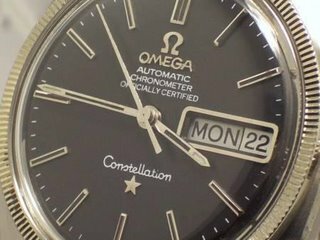 Omega Constellation Collectors: Why on Earth Would You Buy a Vintage Omega Constellation ? Why on Earth Would You Buy a Vintage Omega Constellation ? The comeback of the mechanical watch has been nothing short of a miracle, except when it hasn’t! On the one hand, we’re talking of a marvel of Lazarus proportions, because who would have thought during those dark days of the Japanese quartz invasion that Swiss analogue watch making would awaken from its death throes to live, thrive and, once again, bite the hand that fed it. In the late 1970s, as Neuchâtel fell, Geneva surrendered, and Biel-Bienne, and Grenchen were waving white flags, the joke was that the only chance of survival the Swiss had was to make their mechanical watches out of cheese and offer free yodelling lessons as part of a value-adding package! Why, when the clamour for all things digital is reaching new and ridiculous heights, is the analogue/mechanical watch enjoying such a return to favour? The answer is that more than a measure of the magician’s art has shadowed the revival of the analogue watch. Over the last two decades, some very clever and inimitably Swiss sleight-of-mouth has convinced an army of cashed-up individuals to part with their money and sign up for analogue watches. Some of the zeal for new analogue timepieces is fuelled by those who have joined the ranks of what I term the ‘horological petrol-heads’. These are the Knights Templar of the horological world, mainly men, who are driven by the intrinsic beauty and engineering of high end timepieces and who also have a love and deep respect for the unique culture and heritage of 400 years of fine watch making. You’ll find them sharing their knowledge and passion in watch forums, in fact, anywhere that other horological petrol-heads congregate. The other, much larger group, consists of ‘Brand Junkies’ and ‘Wannabees’. Brand junkies are usually, but not always, moneyed professionals who have a wardrobe stuffed with Italian suits, a garage that houses one or two very good marques, a boat, ideally a history of indiscretions and money to burn on brands. They are, above all else, compulsively acquisitive. There’s nothing wrong with using one’s wealth to buy the finer comforts in life, but brand junkies and wannabees have fallen for some very creative marketing hype about the exclusivity of many brands of Swiss mechanical watches that don’t stand up to exclusivity tests. The brand junkie’s compulsion to collect high-end ‘names’ or the products of Haute Luxe celebrities has more to do with vanity inflation, the need to feed a status habit, or the deep hope that some of the brand’s exclusivity will rub off on him, or her. Wannabees are driven by similar urges, but don’t have the readies to become fully paid-up members of the Brand Junkie brigade. Because of their primary interest in ersatz exclusivity and their disinterest in the engine that powers the brand, brand junkies have been the target and indeed the greatest victims of the Swiss industry’s sleight-of-mouth activities. Ask your average brand junkie what a ‘manufacture’ is and s/he is more likely to say that it has something to do with telling strategic lies, than explaining that a manufacture is a top-end watch making ‘house’ that makes all of the components and parts of the watch movement in-house. A number of Establisseurs (factories that only engage in assembling watches from parts manufactured by specialist suppliers)are keen to help them maintain their ignorance. Some brands are produced by marques that form part of the Swatch conglomerate, amongst which are famous names like Breguet, Blancpain, and, of course, Omega. The Swatch Group manufactures nearly all the parts required to produce complete mechanical watches, and if you consider it as one 'house' then it follows that the aforementioned brands are from a manufacture. The right course appears to be to consider each model on its merits: where Swatch produce movements that are exclusive to one of its brands, then it's fair and reasonable to award high points for authenticity and exclusivity. Where a Swatch brand shares a movement with other Etablisseurs then one should allow lower marks for authenticity and exclusivity. Brand junkies will pay thousands of dollars for brands powered by 'ebauches (Third-party movements, parts and components manufactured by suppliers of movements). A lot of watch ‘brands’ buy their movements and conceal that fact by engraving their names on the plates and rotors. The ETA 2892 movement is one of the more common ‘ebauches that sits under many of the swankier and expensive names to which brand junkies gravitate. What’s this got to do with collecting Omega Constellations of the 1950s – 1970s? Read on, and all will be revealed. Rolex had, on occasions, and Panerai use ebauches, notwithstanding the fact that they chose/choose one of the finer engines on this planet, namely the famous Zenith El Primero movement. Some other European brands buy Japanese movements and some are buying Chinese movements. The use of ‘ebauches is not the problem. The cottage industry tradition in Swiss watch making institutionalised the use of ‘ebauches. They were originally made by rural folk as a winter pastime when they and their cows had to stay indoors because of the severity of the Swiss weather. It is the failure of many of the upper market brands to tell their customers that their watches are powered by ‘ebauches that is the problem. What makes it even more galling is that the propaganda of many of these brands milks the exclusivity line for all it’s worth. Some of the better houses do use high end ebauches from manufactures like Jaeger LeCoultre and modify them, work up a good finish, add more jewels, etc., and the finished product is significantly different from the base calibre, thus elevating the exclusivity factor. But, many of the swankier fashion marques that attract brand junkies as effectively as jam does flies are powered by relatively cheap or ubiquitous 'ebauches and not all that well finished. If history is anything to go by, these brands will depreciate rapidly over a decade or so to the point where they have not much more value than the novelty of the case design and the worth of the metal from which they’re made. So if you are looking for both horological and monetary value, which houses actually make their own movements? Brands like Jaeger-LeCoultre and A. Lange & Söhne are true ‘manufactures’ because they use their own in-house movements, while brands like Patek Phillipe, Audemars Piguet, Zenith, Chopard and Piaget will sometimes use ‘ebauches for particular models and in-house movements for others. These brands offer true value, exclusivity and much higher levels of future collectibility, but they are very expensive. There is a rush by some brands to mend their ways and manufacture some of their movements in-house, perhaps because they believe that, sooner rather than later, the game will be up, and brand junkies will begin to make distinctions hitherto unheard of. Let's hope the fashionistas don't throw the baby out with the bath water and declare all 'ebauches out of bounds, or out of fashion. This leads us to Omega Constellations of the 1950s to the 1970s. The 300, 500, 700 and 1000 series of chronometer movements were all made in-house by the Omega Watch Company before it was swallowed by the conglomerate that eventually became the Swatch Group. They were some of the best movements ever made and this gives them intrinsic and horological value, ensuring their future collectibility. The most important point of difference when buying any watch is the movement. Whether buying new or vintage, give equal consideration to case design, metal content, whether the brand has an in-house movement, and, if not, the degree to which the base calibre has been modified and finished. This will give the watch true credibility, authenticity and real, not imagined, exclusivity. You're absolutely spot-on. The practice involves more than sleight-of-mouth statements about exclusivity, taking us into that well supported commercial territory - lying for a profit! Hmmm, I think perhaps the essence of collecting is different for many people. Yes case style sometimes comes into play, but so does dial design, rarity, brand, provenance and most particularly horology. Generally speaking, although there are some clear exceptions where case design influences the collectibility of a watch (Lip 1970s designs for example, where it all about case and dial design and not at all about the lower quality movements that power many of the models)it would be fair to say that the bottom line of collectibility is quality of movement. Firstly, thanks for such an interesting read, I've learnt a lot in a very short space of time from browsing these pages. Yes, Ive seen that one. Dial is refinished and movement is less that tip top. Fortunately C-Shape Connies are still reasonably priced and its worth waiting around for a really good one. Thanks Desmond for the advice, very helpful. I tried to post this reply to yours of yesterday on the original link but keep getting error meassage. Great website. It has given me invaluable information on which to base my decision to buy Constellations. Bought recently an 18ct solid gold 'C' shaped 1966 Cal.561 ( not over 1). It is 100% authentic, never refinished but as good as the day manufactured. Got it at a great price, just GBP £800 and only required a service. I am fortunate to have the services of an Omega trained watchmaker who overhauls anything I purchase. Another 'collector' is offereing me a 14ct solid gold Constellation auto chronometer Cal.551/1 with metal/gold plated bracelet (looks like beads of rice), movement no. 20641403 (63-64), case no. 14900 SC, adjusted 5 position and temperature 24 jewels. Back stamp swiss made 14 k 0585, squirrel logo, observatory + 8 stars. I have scoured all your website information to check model number with the movement etc. Unless I am missing something, I can't seem to match the two together, only as seperate items. Can you please help with the answer? Hi I was wondering could anyone help me. I am looking for an Omega watch as a wedding gift for my fiancé. Being a jeweller/watchmaker himself as well as an avid watch collector this is a very daunting task for me... His favourite watch is Omega and I really like Seamaster style and Constellation as a second preference. It would have to be preowned as my budget is 500-700 pounds. I have seen a really nice vintage Seamaster for 495 on eBay. It looks to be in great condition... Does it make a big impact on authenticity and value if papers are not supplied? I feel a bit out of my depth with everything and would greatly appreciate some guidance,thank you! Sarah, buying vintage is fraught with risks as this blog outlines. So, you need to have some assistance along the way. The reason why I suggest this is that there are desirable Seamaster vintage and not so desirable. There are fakes, frankens, clapped out old dogs, badly restored examples, and amongst them all are some gems. With your fiance being a watchmaker, the choice has to be judicious eh? So I suggest you look for vintage Seamasters from the 1960 that around powered by calibre 561, 564 or 751. For the money you want to spend you could get a good 168,023 stainless or gold capped Seamaster or a 168.017 Constellation C-Shape with bracelet. So decide on one or two models with those calibre of movement and narrow your search to original. The guys on watchuseek will help you sort out the wheat from the chaff. 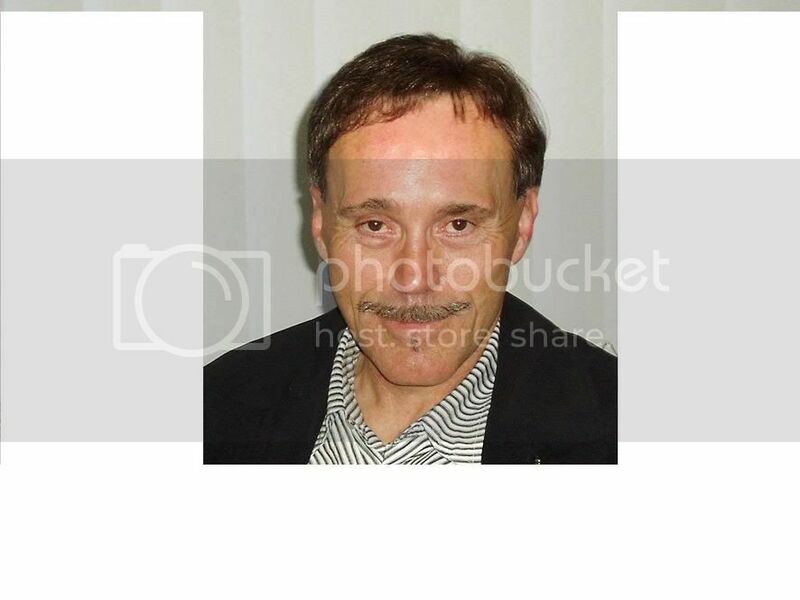 I can also email pictures directly to you. Thank you so much for your time. Firstly, you got quite a reasonable deal on this later grey dialled version. The bracelet I think is after-market as the one that usually came with this models was the SS brickwork bracelet. Movement looks clean and case back is crisp. The original finish on the case front has been polished away but can be set right. (See the essay on C Shapes as it also give some examples of how the cases were originally finished. Overall you have an honest example at a very reasonable price...and with one of the best automatics that Omega, and, arguably, any production watch maker, produced. Thank you for your quick response and for reviewing this watch for me. I too suspected that the bracelet was after market, I am giving serious thought to putting the watch on a leather strap. I had previously read your essay on C models, but read it again and see what you are saying about the original finish being gone. If you have the time, I have three final questions for you and then I will not pester you anymore. 1. I noticed in your C model essay that all of the examples have thin, stick hands. My watch has the wider hands. Do you feel that the hands on this watch are original or appropriate to this particular model? 2. In your opinion has the dial been refinished? 3. Can you recommend any process or person who can restore the original finsih? Thank you so much for taking the time to answer my questions. This watch will be in my collection for many decades to come and I am eager to know as much as possible about it. Many thanks. Some examples of the C shape did have dauphine hands like the watch in question, however I believe that the design story of the C Shape as envisaged by Gerald Genta did include both thick and thin stick hands depending on the thickness of the markers. So the hands may be 'correct' but in my opinion they are counter to the design intent of the watch. Grey dials with white lettering were produced in the later stages of this model. Because the pics on the listing are not high resolution or large enough, it is not possible for me to say whether the dial is refinished. I would need bigger, high res pics to state with certainty one way or another. If you can photograph the dial , send me a pic by clicking on my profile and then on the email tab. How can I find how much 18Kt gold is in the 38mm yellow gold/steel Constellation model 123.20.38.21.08.001? Pretty well an impossible task. ONly option is to write or communicate with Omega on its website.